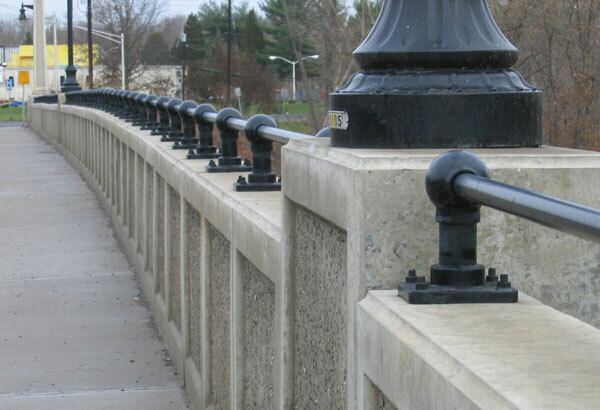 One of our most sought after products, the "Century Metropolitan Ball, Cap & Rail System" was first developed 25 years ago when S.A.D. 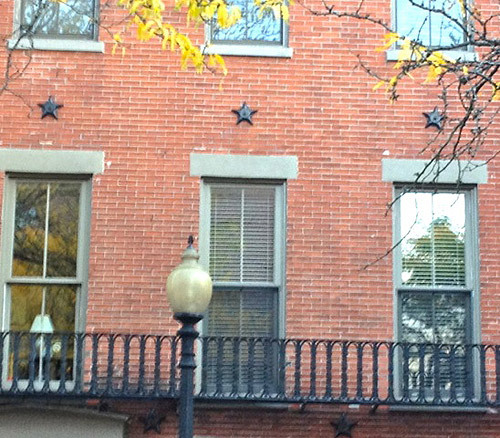 began repair and reproduction of the Ball, Cap & Railing attributed to the Great American Landscape Architect Fredrick Law Olmstead. Today S.A.D. 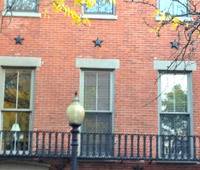 's Century Metropolitan Ball Cap & Rail System is widely used throughout the Northeast. 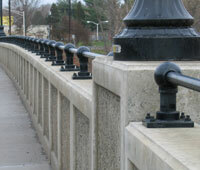 It continues the original concept of design flexibility and simplicity, but is executed and finished in modern durable materials to a strength that qualifies it as a bridge rail by the Federal DOT Standards. 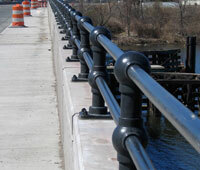 Century Metropolitan is often a NJDOT specification for pedestrian bridge rail. 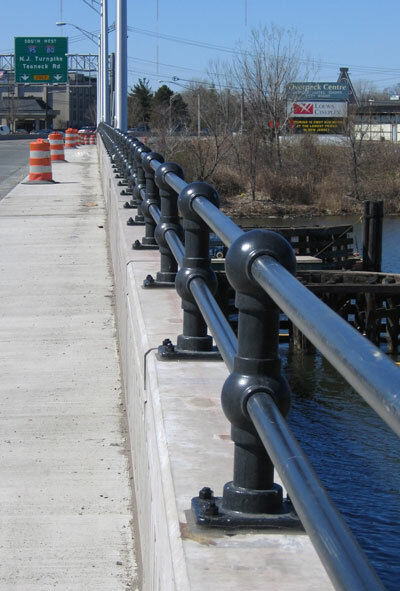 It also serves well along piers, marinas, streetscapes, parks, dry motes, dams, and waterworks.